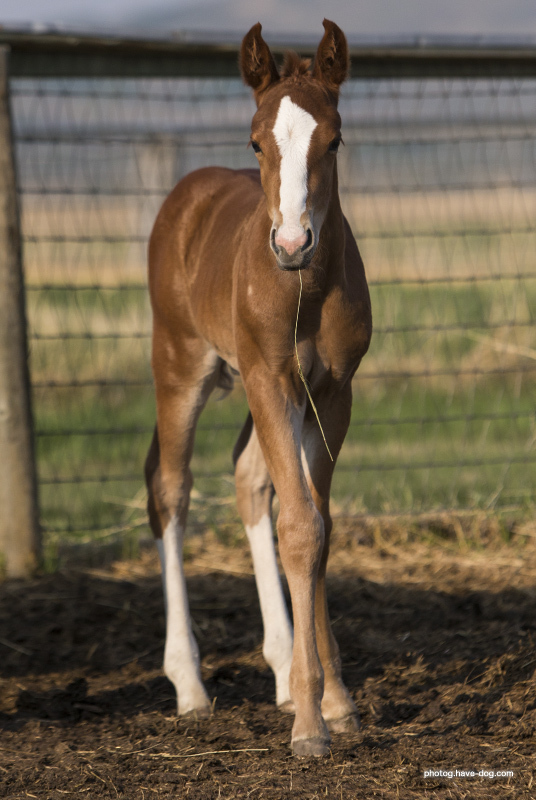 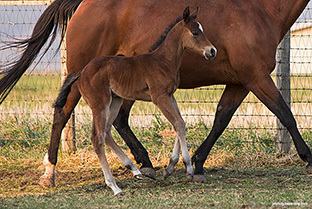 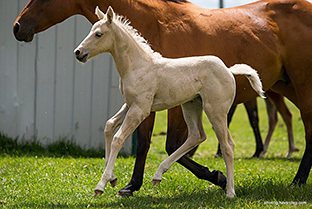 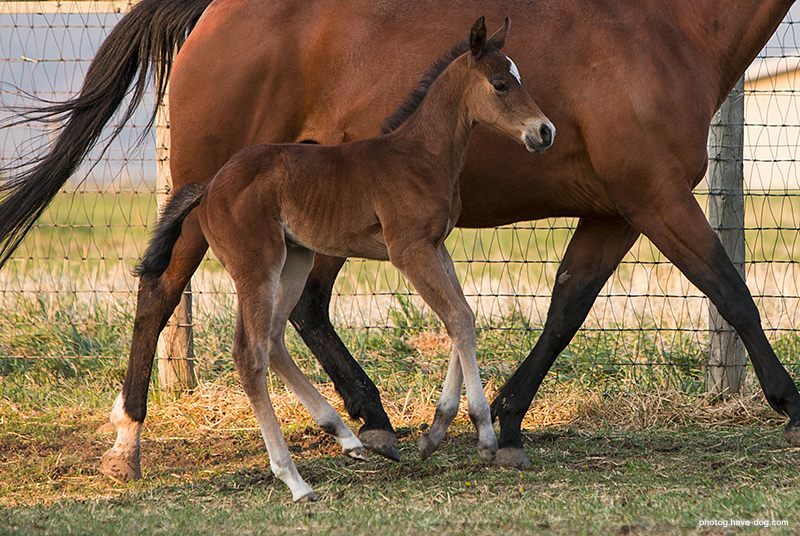 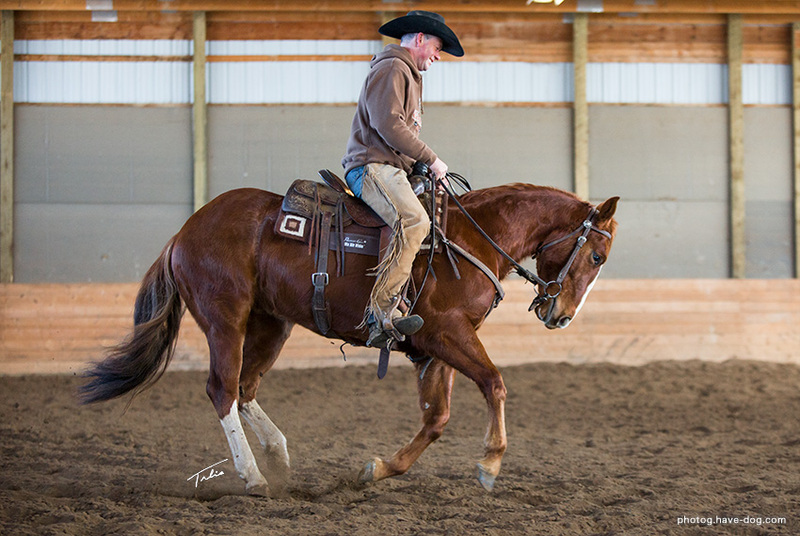 A super-friendly and athletic darker palomino colt with a connected star/strip/snip, front left pastern, and right rear sock. 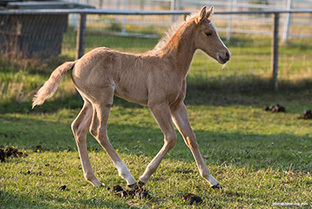 The last to be born in 2016, this flashy palomino colt with a wide blaze and four high socks was the poster child for "big heart in a small package" more than holding his own (and often instigating play) against foals twice his size. 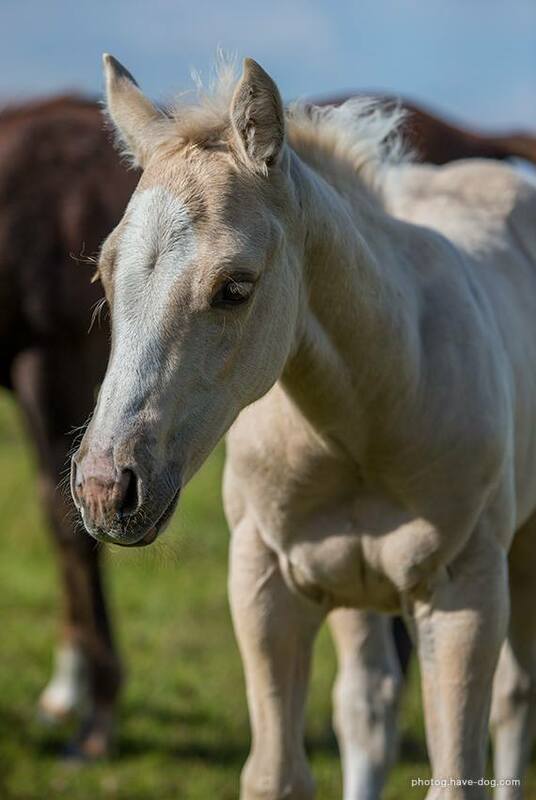 An incredibly pretty bay filly with a star & snip and rear pasterns. 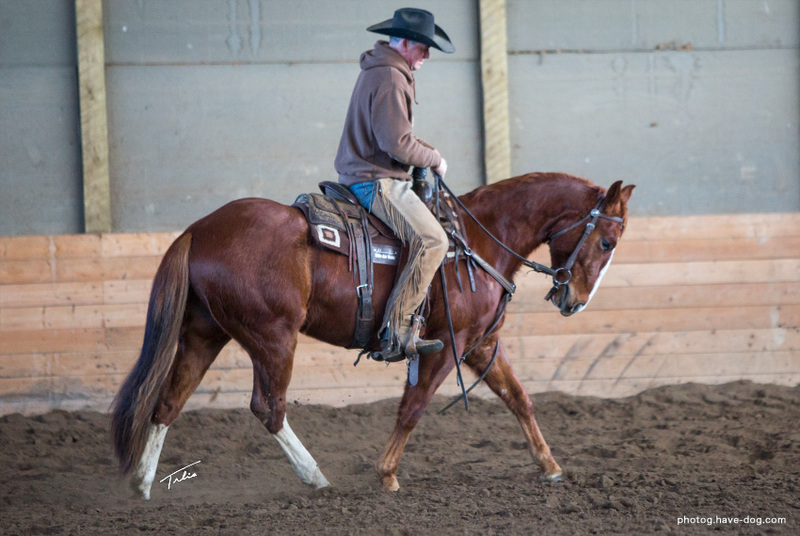 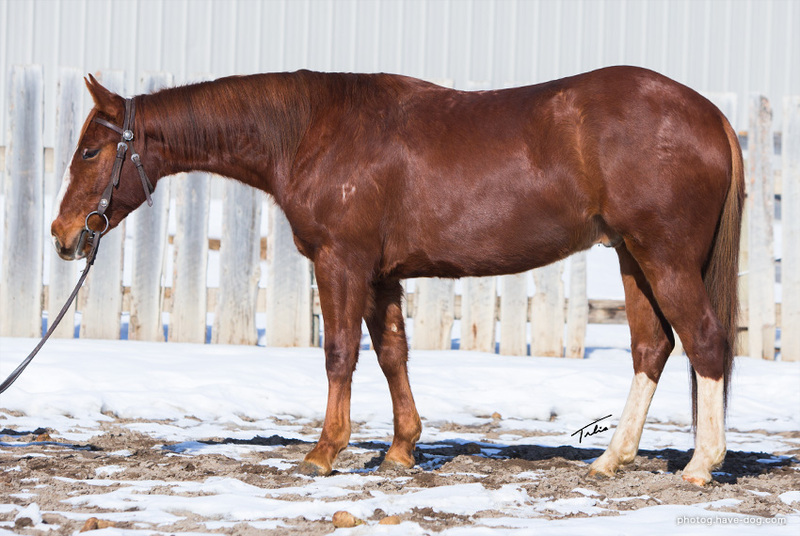 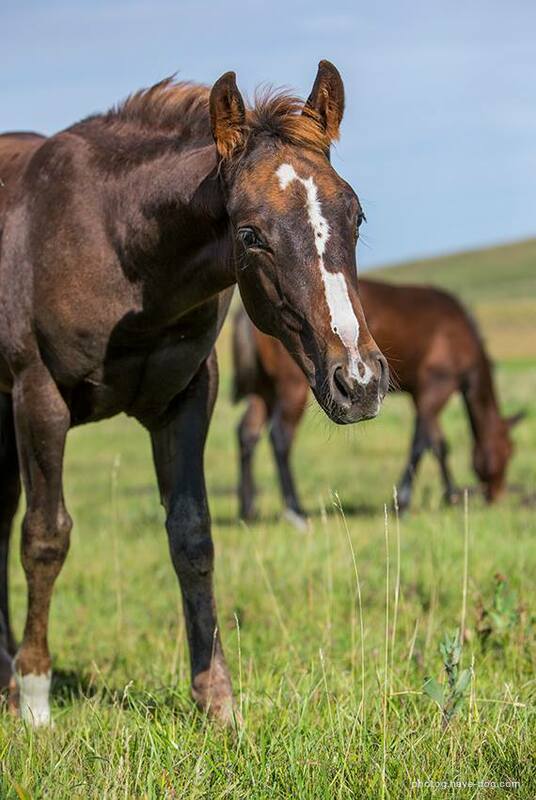 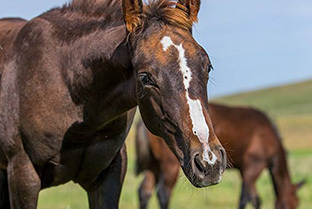 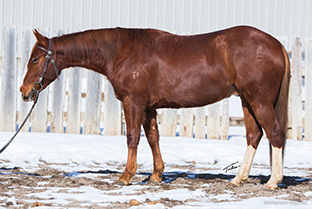 A uniquely marked colt with a "squiggle" for a blaze and a right front sock, shed out a super fancy dark liver chestnut with flaxen mane and tail. 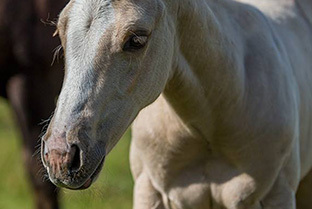 A super-feminine light palomino filly with a star.